VARSITY TRACK TEAM: (Row One:) Bill Albrecht, Ron Harrison, Mike Skrbina, Larry Mlynarsik, Jim Paryl, Bob Berumen, John Padgen, Paul Wagner, Ralph Flood, Coach Miller. (Row Two:) Coach Dust, Bob Snell, Gary Wiers, Bob Krilich, Rick Stinson, Bob Parrent, Gary Jensen, Jack Neff, Wally Emlund, Ron Snyder, George Glad, Coach Wisnieuski. Wave your mouse near the chin to see Varsity Track names. 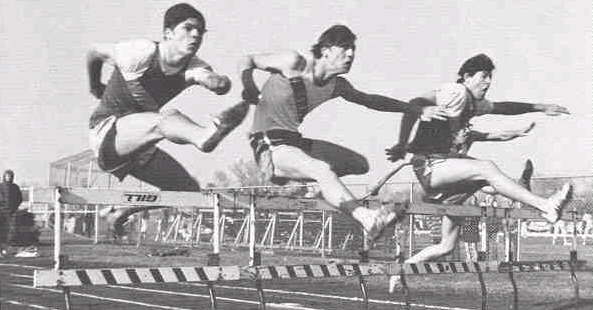 CENTER LEFT: Bob Krilich (left) and George Glad (far right) battle for the lead with their opponent in the high hurdles. 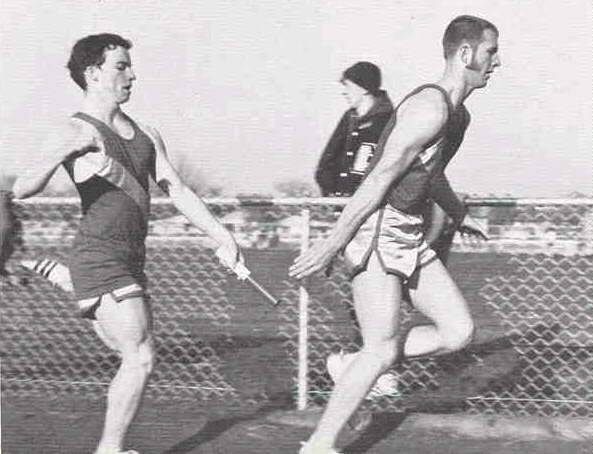 CENTER RIGHT: Ralph Flood (left) exchanges the baton with Rick Stinson in the 880 relay. 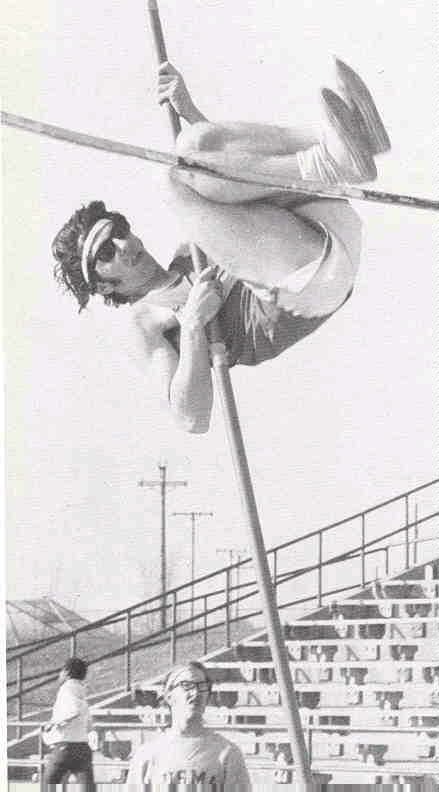 BOTTOM LEFT: Ron Harrison prepares to go over the bar in the pole vaults.